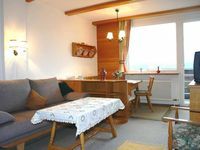 Property 11: Wonderful sunny apartment in the enormous ski area of Schladming. Apartment in mansion at an altitude of 1150 metres, with beautiful views. Property 21: Apartment in mansion at an altitude of 1150 metres, with beautiful views. Apartment in country house at 1150 meters altitude with beautiful views. Property 34: Apartment in country house at 1150 meters altitude with beautiful views. Property 47: Apartment in country house at 1150 meters altitude with beautiful views. great 2 bedroom apartment with stunning views! If you're looking for a well-located apartment in this popular holiday area then this is a great choice. sehr ger&auml;umige, gut ausgestattete Ferienwohnung. Sehr netter Kontakt zur Vermieterin. [English translation courtesy of Easy Reserve] very spacious, well equipped apartment. Very nice contact with the landlady.